13451 Philmont Avenue is a nine minute walk from the West Trenton Line West Trenton Line at the Forest Hills stop. This apartment is in the Somerton neighborhood in Philadelphia. Nearby parks include Boyle Playground, Philmont Park and Russell E Elliot Memorial Park. 13451 Philmont Avenue has a Walk Score of 44 out of 100. This location is a Car-Dependent neighborhood so most errands require a car. 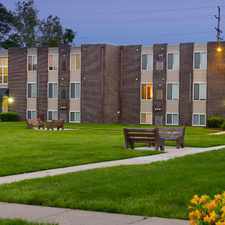 Our revitalized community features modern apartments in a superb location and with great prices. Commuting to work is easy. Hampton Gardens is one block from the Somerton Train Station. We are only minutes away from towns like Somerton, Fox Chase, and Mayfair. To check out the other Philadelphia neighborhoods, look below at “Nearby Neighborhoods.” Make yourself at home and meet new friends and neighbors when you move to Hampton Gardens. Explore how far you can travel by car, bus, bike and foot from 13451 Philmont Avenue. 13451 Philmont Avenue has some transit which means a few nearby public transportation options. 13451 Philmont Ave compared to all of Philadelphia. How do you feel walking near 13451 Philmont Ave? 13451 Philmont Avenue is in the Somerton neighborhood. Somerton is the 74th most walkable neighborhood in Philadelphia with a neighborhood Walk Score of 48.